Hélène has a tough time at school, secluded and taunted by her former friends about her weight. At home, her mother is exhausted and overworked. She finds comfort in reading Jane Eyre, identifying with the heroine’s hardships and finding courage in her strength of character. When Hélène has to go on a school camping trip, she dreads the isolation forced upon her by her peers, but a chance encounter with a fox changes Hélène’s outlook on life and allows her to find friendship at last. Using the graphic novel format Britt and Arsenault have created an incredibly moving of story of overcoming bullying and loneliness. The use of colour is particularly striking and evocative; the artwork is mainly drawn in grey scale, always slightly blurry, matching Hélène’s melancholic and lonely mood, while wonderful bursts of colour illuminate the page any time something Hélène feels positive about is mentioned (Jane Eyre, the fox, her new friend). It is incredibly effective. The link with Jane Eyre is clever and quirky, not only emphasising the power of stories in empowering people, but also highlighting that classic tales can still have resonance in our lives, with Jane Eyre’s fight for acceptance is mirrored in Hélène’s own life. 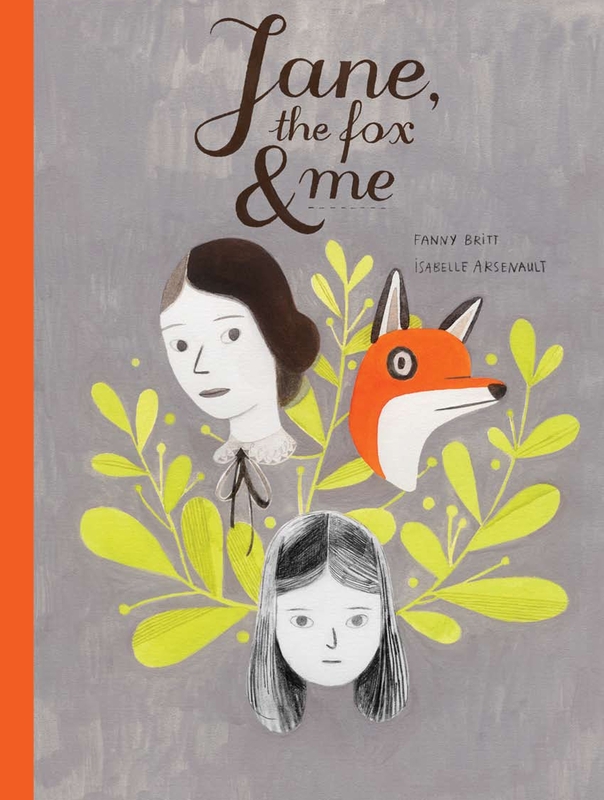 Beautifully poetic, at times heartbreaking but also full of hope, Jane, the Fox & Me is a powerful example of how deep and meaningful graphic novels can be, hopefully quietening critics who deem graphic novels a “lesser genre”. Teamed with the impeccable design consistently associated with Walker Books, this is one exceptional book. Sounds great, I’ll have to track down a copy.